I can either use your own blank CDs/DVDs, memory sticks, external hard drives, or supply these products to you. 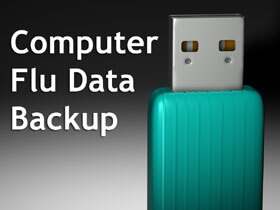 Sometimes when your computer fails to 'boot', or if your hard drive has failed, I can still recover data using very specialist software. In the past I've had success rates from 80 to 100 percent. For this service I charge a little more than a regular data transfer.